131 people are down with gastroenteritis after consuming food from a caterer. The victims are Kindergarten 2 students and teachers who were attending a learning camp organized by Busy Bees Asia. In a joint statement, the National Environmental Agency (NEA), Ministry of Health (MOH) and Agri-Food and Veterinary Authority (AVA) said that they were investigating an outbreak of gastroenteritis caused by the consumption of food prepared by FoodTalks Caterer & Manufacturer, located at Shimei East Kitchen in Bedok on Monday (Nov 26). As of Tuesday, though none of the victims were hospitalised, 131 cases of gastroenteritis have been reported. MOH, NEA and AVA conducted a joint inspection of the caterer’s premises on Tuesday. As part of the investigations, food handlers were sent for stool screening, and food and environmental samples were taken for testing, the agencies said. This is the third high-profile food poisoning incident that have occurred in the past month. 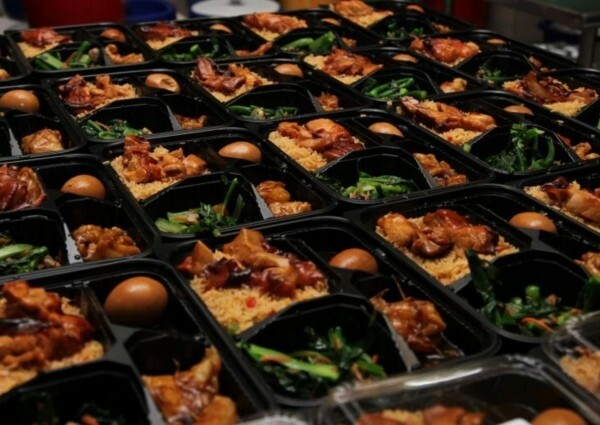 Just last week, 190 people fell ill after consuming food that was prepared by TungLok Catering at the Max Atria at Singapore Expo. 81 people also suffered from gastroenteritis after eating the bento food prepared by the River Valley outlet of Spize. A 38 year-old man died and at least 45 victims were hospitalized.